From my house to yours, here’s to a peaceful spirit of love that I hope continues through the New Year. Let’s practice random acts of kindness for our fellow anipals, furiends and peeps, shall we? I know I’ll try. You try, too. Now, where are my green beans??????? And I don’t mean a casserole! 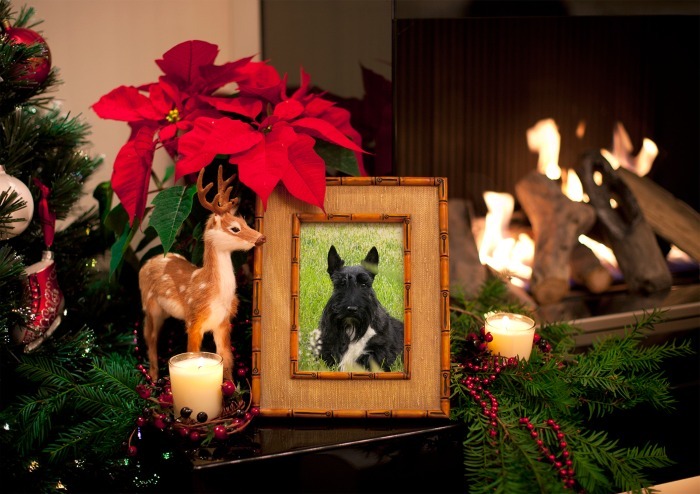 This entry was posted in The Scottie Chronicles and tagged Christmas, dogs, holiday giving, kindness, Kwanzaa, love, New Year, Scotties. Bookmark the permalink. Oh yes! The long, steamed, fresh green beans. Pawsome! Thanks for the warm wishes my friend! The fat man brought me so many, that I’ve got an upset tummy. Wonder why? Hope you ALL got some beans my porcine pal! Happy Howlidays! Wishing you a warm and wonderful Christmas, and may the memory of this day be with you forever. Peace, love and joy to all! And to you my friends. Warmest howlidays to you and yours! Happy Christmas and a Merry New Year, full of love, joy and green beans! Love back a’cha my noodle friend! Merry Christmas to you and your family, Stuart! Love you too! Thanks so much! Stuart-we’re wishing you a great holiday and we’re about to get green beans because you mentioned them-thanks. Kaci, Kali, Kismet and the spirits of Kenzie, Kyla and Boomerang (However did that “B” get in there?). You’re welcome. Always. Always. Boomerang? Hope you’re having a wonderful bean-filled Christmas day! Joyful, joyful, joyful – we are joyful you are in blogville! Happy Howladay, Merry Scotsmas and have a peaceful new year! Licks to your Peeps! Wishing you a warm and loving Christmas. Eat up. Merry Christmas to y’all too my furiends! Thank you! we love the random acts of kindness idea for all of our pals. it will be put to use in this house. Enjoy your green beans. In my house too! ArOOOOO! Merry Christmas to you and your pack! Hope you got a stocking full of beans!!! Merry Christmas! Hope you had a wonderful Christmas!! New toys and lots of green beans!! Merry Christmas a day late Stuart!!! Hope you all had a good Christmas Stuart! Belated Merry Xmas Stuart, your card arrived yesterday, thank you very much. A little late Mr S – but we do wish you and yours a great Christmas and a Happy New Year – along with many many green beans (no casseroles). We do love our g-beans also – Cherry, Tobias & Shadow..